As you know from reading our blog, we love food, but we love the stories behind food even more. In addition to meeting new chefs, we love catching up with folks that we’ve featured in the past. 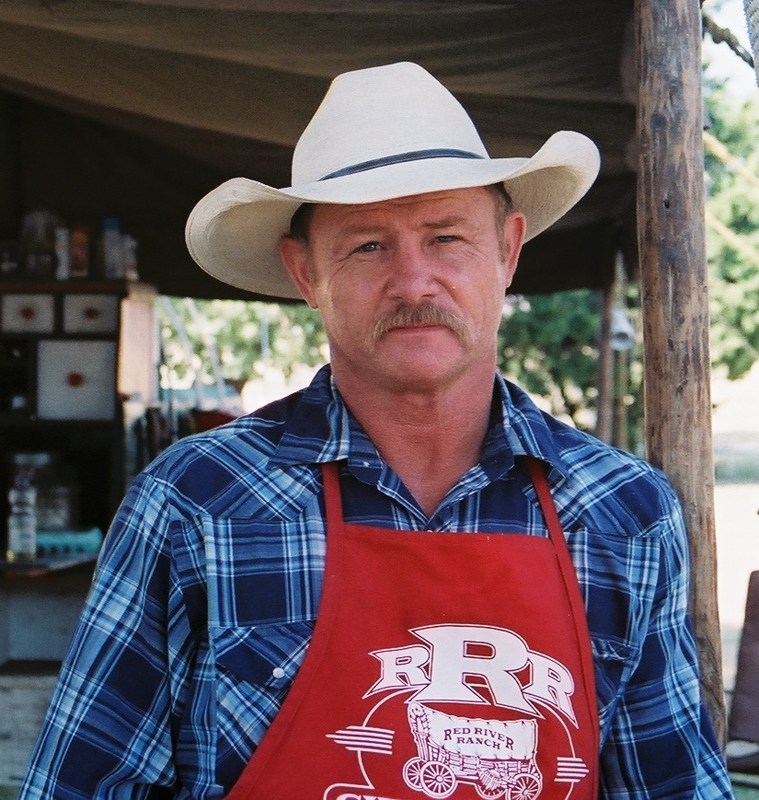 One person who is always up to something new and exciting is Chef Kent Rollins, also known as Cowboy Kent. We first interviewed him in August 2012 after a memorable appearance on Chopped Grill Masters. We reached out to him again in November 2013 after an appearance on Chopped Redemption. 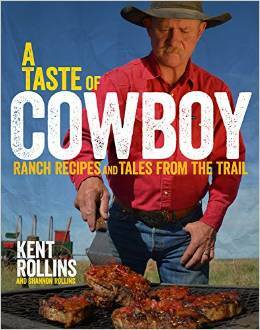 Read on to learn about Cowboy Kent’s book deal and other happenings on the range. FP: Share with us what you’ve been up to since we last interviewed you back in 2013. KR: Well we’ve been busier than a three legged cat! Since then we have burnt more wood than Paul Bunyan can cut, catering and cooking for ranches. Just this last year we fed over 20,000 people. After Chopped Grill Masters, we were contacted by a Publishing Agent, Janis Donnaud and signed a book deal with Houghton Mifflin Harcourt. With their guidance and my wife’s writing and photography skills we put together our cookbook A Taste of Cowboy. This has been our biggest project since our last visit. FP: Congrats on your new cookbook! How did the concept come about? What should readers expect from the book? KR: My wife and I wanted to share the culture and tradition of the Cowboy through food, stories and her gorgeous pictures. It’s so much more than a cookbook and recipes, it’s a way of life. Twenty-five years of sweat and smoke, heat waves and frostbite have gone into this book. When folks open the pages, they will hear the cows and smell the coffee on the fire. FP: We’ll have to check out the book! We loved giving your Red River Ranch Original Seasoning a try. What are some of your favorite ways to use it. KR: I made the seasoning many years ago just as a meat rub and got to putting it on everything, from steaks to an all-purpose seasoning. It complements everything well. I guess to me it’s best on a piece of beef – cooked just until medium rare- that steer died once we don’t need to kill him again! But my wife swears it is the best on Macaroni and Cheese- she is a mac and cheese connoisseur. FP: You’ve been on Throwdown with Bobby Flay, Chopped Grill Masters twice and also Food Fighters on NBC . What are some of the similarities and differences of competing on the shows. KR: With the Throwdown, I knew what I was cooking and it was in my kitchen. On Chopped– hey as you know, those baskets aren’t for picnics, they have put fear in many a person! Food Fighters was similar to Chopped in a way with the time restraint but the home cook has the huge advantage. The basket on Chopped put everyone on a level playing field. By far Chopped is still the most nerve racking challenge. FP: Yes, we definitely know all about those crazy baskets on Chopped, from a viewers’ perspective at least. What springtime events do you have on the horizon? FP: Our cookbook releases April 7 and we have quite a few book signings scheduled (listed on kentrollins.com). We have also partnered up with Certified Angus Beef and have some cooking with them too. And of course ranch cooking is always busy in the spring. We just got done on a ranch in Texas this past week and have about 3 weeks on another soon. We also have some more TV coming out the end of April. FP: So you’re saying we’ll see you on Food Network again? KR: Hey you never know. If they holler let’s just say this Cowboy might show up in your living room again. FP: Thank you again for your time, Chef Kent! We wish you continued success.